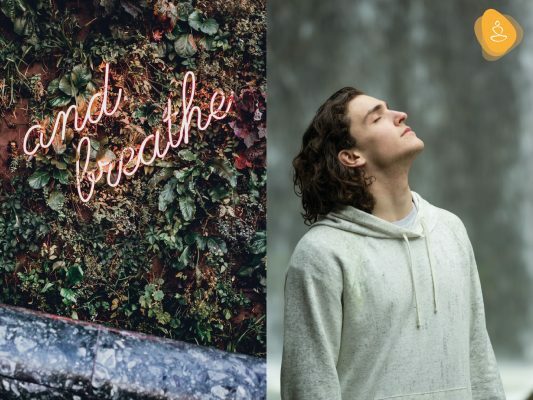 You have just taken the reins of your life to calm anxiety by doing – and succeeding – this challenge that will help you in 7 days, starting from today. Come on! Courage, that doing it you have much more to win than to lose and at the end it will be a good story to tell. 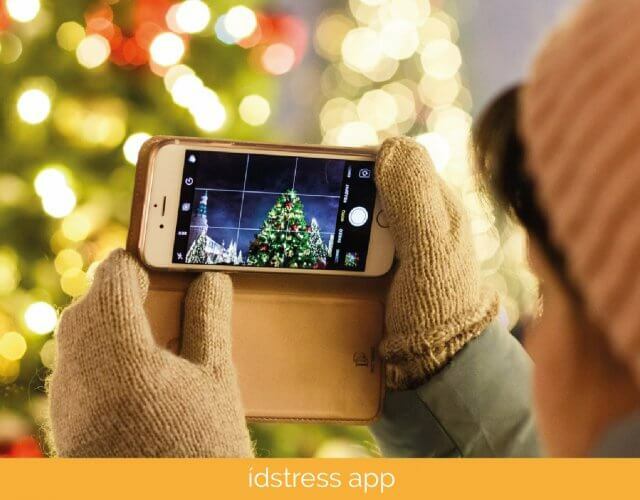 A for the calm and well-being with ídstress app (yes, it’s me! And I’m here to help you 24/7, count on it). Anxiety is the mind going faster than life. 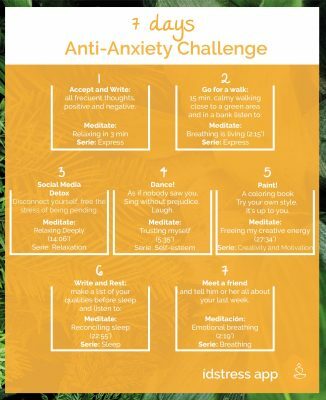 In the Anti-Anxiety challenge, we will live day by day and we will celebrate each daily challenge as a small victory, it will be fun, meritocratic and most importantly: productive for your personal development. Throughout the 7 days we will find difficulties, but we will also learn to solve them. 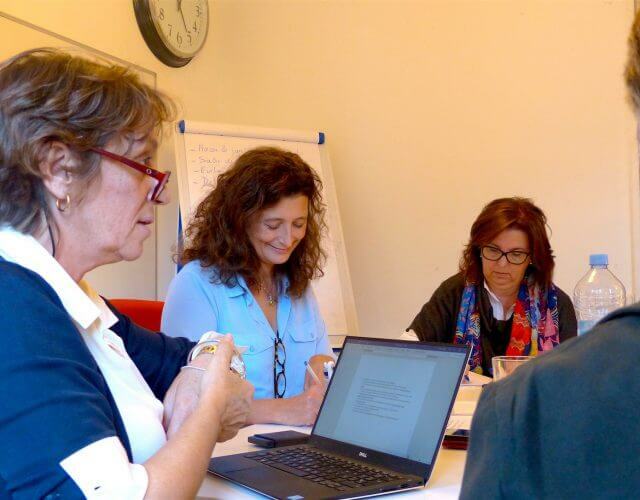 Let’s also mention that anxiety is a normal response in the individual in situations of stress, the problem lies when it intensifies and has a higher frequency than expected in relation to the stimulus that triggers it, mutating to a pathological or generalized anxiety. I propose you to start the challenge immediately after finishing the reading. Do we feel with excessive or inexplicable excessive concern? A lack of control and dominance, in addition to symptoms such as: impatience, difficulty concentrating, insomnia, irritability or fatigue, muscle tension and / or panic attacks of various levels such as palpitations, feeling of suffocation, instability, nausea, dizziness, fainting or feeling of going crazy or dying soon. Well now, to every problem, an effective solution! We are now traveling into a nonstop trip for that cherished peace of mind! (sounds so good, right?) So, all on board and only 2 passengers: you and me (you know, your app 😉). Having a positive mind to be persistent this week, you will be fine. We are together. Download idstress app and trust that it is made to help you, at any time of the day. What do you think of this challenge? Tell us, as a community, how it has gone and if you would like to have new dynamics for some specific emotion!